Only few films have the ability to create an impeccable sensation with its beginning stage and the expectations keep getting bigger. Apparently, the film RANAM has the momentum on the right tracks over its phase of inception till the release. The film’s trailer that was released last evening by Mohan Lal has turned to be talk of South Industry. Its all due to the exotically stylish visuals and International standard. Not to miss the charisma of Prithiviraj who is well known for such stylish and outrageous roles. But the icing of cake remains to be the scintillating screen presence of Rahman and his phenomenal performance. 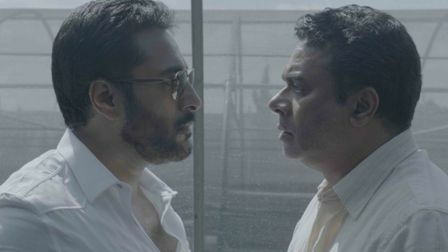 It is worth recalling that the teaser involving Rahman that had the powerful dialogues. Ranam is an edge seated thriller that is set against the backdrops of Detroit and is scheduled for world wide release on September 6. On his part, Rahman is completely busy occupied with his multiple projects in South Indian industry that includes the bilingual movie titled " 7 " (Seven) that is getting released in Tamil and Telugu. He is doing a space based thriller in Telugu direct by GAAZI fame Sankalp Reddy tittled "Antha Raksha-9000km per hour" also staaring Varun Tej and Athidhi Rao.